Bronze. Bold. Beautiful. It’s all in the package! Esthetician, Nail Tech & Hair Stylist Needed! 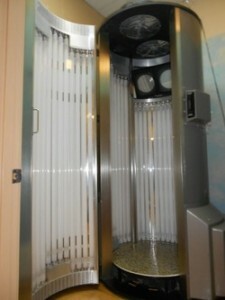 Paradise Tans offers deep discounts for those of you who tan year round. Join our VIP membership club for $15.00 sign-up fee and get limited (once every 24 hours) tanning year round. Call or stop by to check pricing options. Just commit to one year and we will automatically deduct your monthly dues from your credit account or bank account. The Santa Barbara is a LEVEL ONE 20 minute bed perfect for the beginner or those who want 20 minutes of relaxation. The Pacifica is our LEVEL TWO 12 minute bed. Less time, powerful bulbs and high pressure facial bulbs producing a natural sunkissed look. The Del Ray is our LEVEL FOUR 12 minute bed. 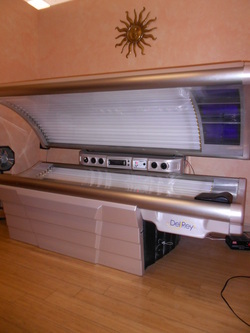 This is our best bronzing bed with wide canopy and high powered bronzing bulbs. 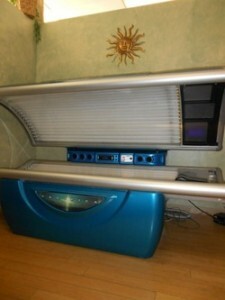 Experience the fine art of tanning . . . 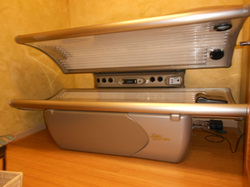 If you enjoyed our tanning packages, take a moment to submit a review to YELP or Google. You can also follow us on Facebook and Twitter too! Paradise Tans New Website Is Here! © 2019 Paradise Tans. All rights reserved.